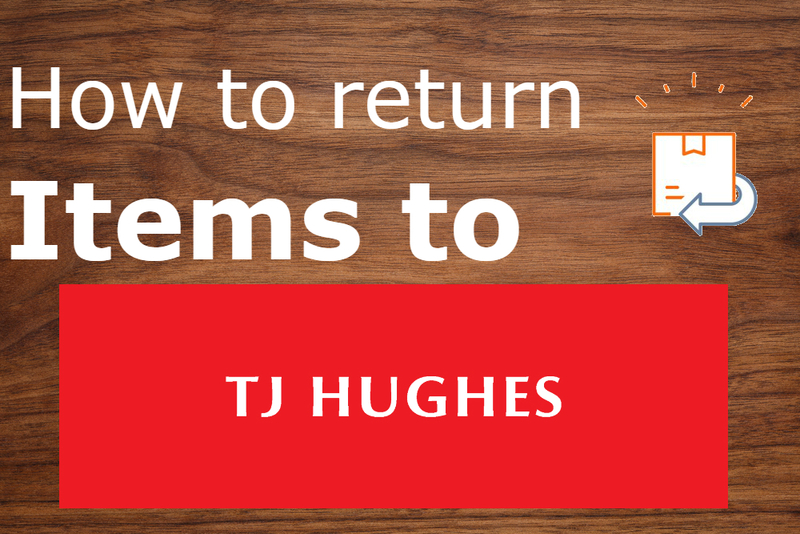 If you would like to find out about TJ Hughes returns you can follow the guide below to find out their returns policies and the different methods you can use to return your products to TJ Hughes. You will be able to return any unwanted items within 14 days of purchase, each of the items must be returned in their original packaging. You will receive your refund via the same method you originally paid for the items. You can not return a few types of items unless they’re returned completely unused and in their original packaging, they are lingerie, underwear, swinwear, mattresses, mattress toppers, duvets, pillows, mattess protectors, blankets, hats, hair accesories, hosiery, make up, skincare, fragrance, personal grooming items, other cosmetics or jewellery, unless they have arrived damaged or faulty. If you purchased items from TJ Hughes in-store or online you can return it within 14 days to a TJ Hughes store. You just need to have the items in their original packaging and they need to be unused. You then need to take it to your local TJ Hughes store with a form of proof of purchase which can be a receipt or dispatch note that will have been provided in your package. Once you are in the TJ Hughes store you will be able to go to the customer service counter or speak to an employee regarding your return. If your items are faulty or damaged within 12 months of purchase through no fault of your own you can also return it via in-store or post using the instructions below. You will need to contact the TJ Hughes customer service team before you try to return the faulty item. You can do this by calling 0843 596 3563 and informing them of the issue. They will then arrange for a collection or for you to send the item back/return it in-store. If you would prefer to return you items via post (you can only use this method if you purchased your items online) you need to fill out the dispatch note return section and place it into your package. Re-package the item and stick the the return sticker on the front of the package over your address. You then need to contact the customer service team using the number above to inform them that you need to return an item. You will then either be told to take it to your local post office or they will arrange a collection from one of their couriers. You will need to pay some money for the collection of the item, a standard sized parcel costs £10 to return, a medium parcel costs £19.99 to return and a large parcel or furniture will cost £35 to return. If you’re returning a faulty or damaged item you will need to pay the cost for the return of the item and then you will be reimburshed for the collection cost once the item is accessed and you receive you refund.